Known for its expertise in ready-to-wear luxury, the company works mainly the wrap and weft in making models of jackets, coats, trench coats ... His chosen field is the "sleeved article". 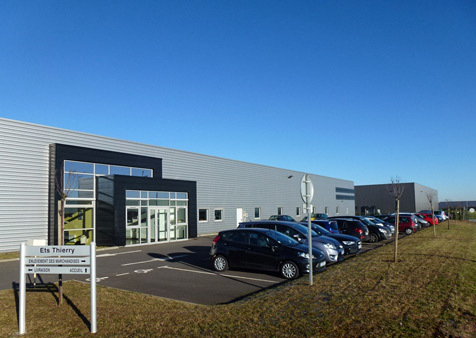 Located in modern building just outside Caen in Ifs, over an area of 2000 m2 since 2008, the production organization is rational and the flow of production is optimal. An engineering firm renders the prototypes, the methods office with powerful IT tools, checks the patronage and gradations and assesses the material needs that are provided to the customers. When the cut-out is done, the parts are assembled with care and speed by experienced workers. After a rigorous quality control, models are lead to the finishing area where careful attention is paid to the last operations. Functional workplaces with appropriate lighting and a serene atmosphere ensure autonomy and optimized organization. Experienced operators, passionate about their work, help ensure orders are processed quickly and reliably. The products are prepared to go straight to the store. The quality of the production paired with attentive service make Thierry Establishments a true partner of leading luxury brands. The taste of creation and the spirit of excellence and innovation that drives the luxury industry is a matter of experience. 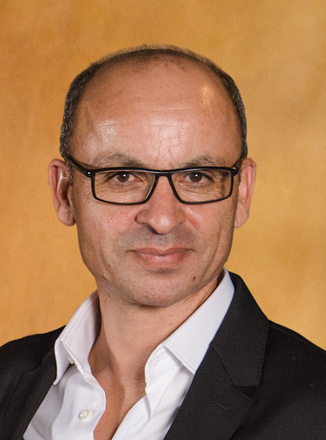 Amedi Nacer took over Thierry Establishments in 2004 and in 2012 Simon Fonlupt’s Productions. He knows from the inside the needs of great French luxury houses from manufacturing to supply reliability. He worked for Kenzo from 1989 to 1992 and for nearly 8 years at LVMH, where he managed the production of five brands. From 2001 to 2004, at Hermès, he was responsible for the women ready-to-wear activity and shared this obsession for the preservation of the tradition and “savoir-faire” of French artisans. With great responsibility, he has committed to training staff in new technologies and recruit young operators who will be trained by the veterans. He brings to the company the most modern production equipment , as shown by the 2008 investment in new premises near Caen, in Ifs, for Thierry Establishments. The acquisition of FONLUPT establishes the positive development of Thierry Establishments whose sales grew over 35% between 2009 and 2012. With him, the new group took on a new challenge: to develop synergies between the two additional production units. Skill: sleeved pieces (jackets, coats, trench coats, pea coats), skirt suits, accessories.